By wearing Compressport Racket before a match or a training session, you'll accelerate the warm-up process, reduce the risk of injury and be ready to hit the court running. Go longer, go faster, go safer. Looking for a vital edge? By reducing muscle vibration, Compressport Racket products will delay fatigue, improve endurance and minimise those sore muscles. Need your body to back up? Using Compressport Racket in recovery will increase the oxygen supply to your muscles, eliminating toxins faster and preventing the swelling that hurts. Lift your game with compression gear that maximises on-court movement. Compressport Racket compression gear hugs muscles, keeping them compact and solid. Muscle vibration is reduced by 35%, which means muscles fibres are aligned and move a lot more efficiently. For a squash, badminton or tennis player, that means faster, more explosive lunging and stepping around the court. Compressport Racket gear helps your tendons and muscles absorb the impact of court movement, which delays fatigue, increases endurance and significantly reduces the chance of injury. Wearing Compressport Racket gear also provides solid support when you need to play with a muscle that's been pulled or tweaked. 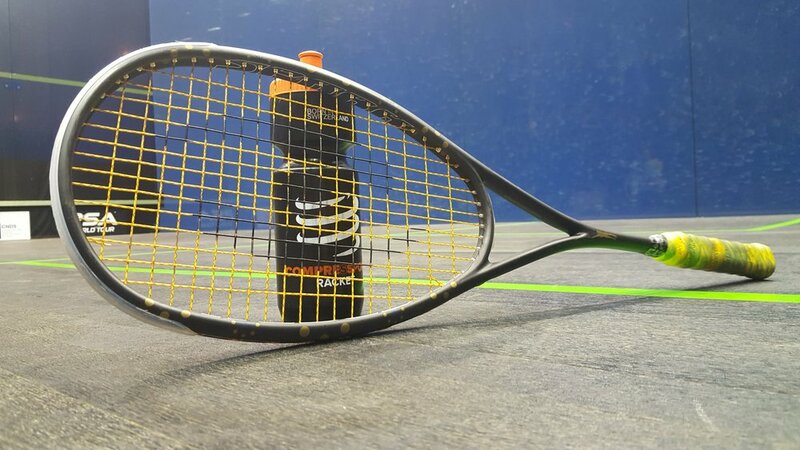 Compressport Racket gear limits muscle damage and increases the amount of oxygen delivered to the muscles, which means inflammation is reduced and muscle soreness is delayed by over 50%. Put those together and you'll enjoy faster recovery and improved 'next-day' performance. Sign up with your email address and we’ll give you the first shot at Compressport specials.